What is a physician assistant and how do they function? A physician assistant (PA) is a medical professional who works as part of a team with a physician. A PA is a graduate of an accredited PA educational program who is nationally certified and state-licensed to practice medicine with the supervision of a physician. PAs perform physical examinations, diagnose and treat illnesses, order and interpret lab tests, perform procedures, assist in surgery, provide patient education and counseling, and make rounds in hospitals and nursing homes. All 50 states and the District of Columbia allow PAs to practice and prescribe medications. More information about PAs can be found at aapa.org. What is the job outlook for PAs? The Bureau of Labor Statistics expects that the PA profession will experience a 30 percent growth from 2014 to 2024, making it one of the fastest-growing job sectors in the country. This growth is attributed to a projected increase in specialty physicians and the aging “baby boomer” population that will need care for chronic illnesses. Forbes: With a rapidly aging population and tens of millions of people newly covered by Obamacare, America faces a looming doctor shortage and burgeoning opportunities for physician assistants, one of the fastest-growing professions in the country. 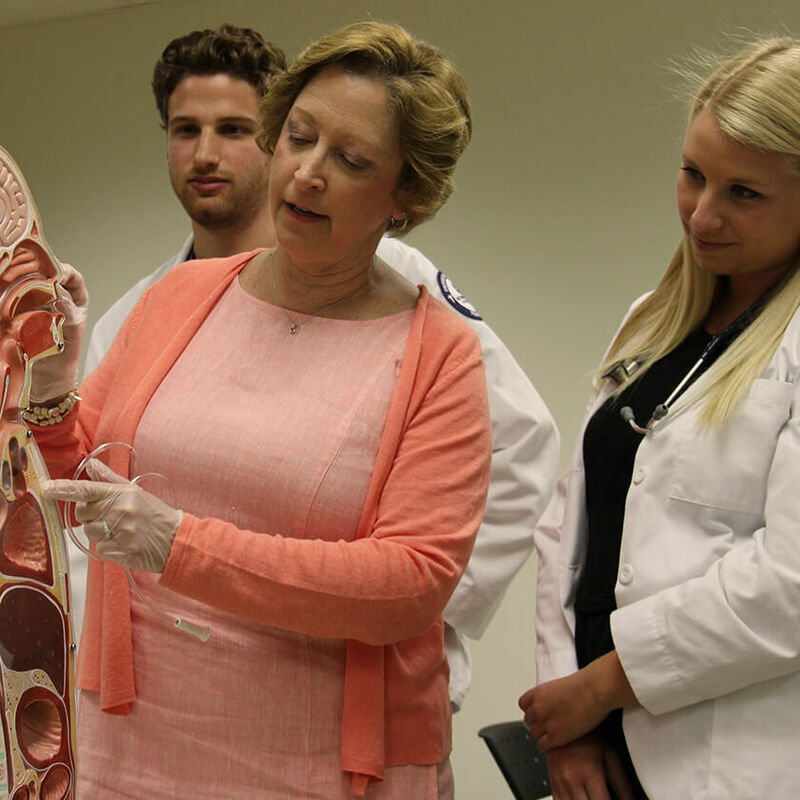 How long is the Monmouth University Physician Assistant program? The Monmouth University PA program is 36 months in length and begins in September. One class is admitted each year. The didactic phase is 42 weeks, consisting of classroom and clinical skills laboratory instruction, with hospital and clinic experiences. The clinical phase consists of 64 weeks of clinical clerkships, where students are assigned to preceptors at various hospitals and physician offices. In addition, students will spend one day per week during the clinical phase back at the program for additional course work and small-group learning opportunities with the co-medical directors. Why is the program three years? Students will have time off each summer between the first and second year and between the second and third year. We believe this time allows students the opportunity to relax from the high-intensity learning environment, which may enhance future learning opportunities. What degree will I receive at the end of the program? At the completion of the Monmouth PA program, students are awarded a Master of Science (MS) degree. Is there a part-time track? No, all students must matriculate on a full-time basis. What type of degree do I need to get into the program? Qualified applicants must possess a baccalaureate degree from a regionally accredited institution of higher learning. The baccalaureate degree can be in any field of study, as long as you have successfully completed the prerequisite courses. The program expects that most applicants will have degrees in areas such as biology, health studies/sciences, nutritional sciences, kinesiology, and other science-related areas. Classes for Monmouth University’s PA program are held at the university Graduate Center, approximately two miles from the main campus. Here we have two classrooms, two large clinical skills laboratories, and library space dedicated to the program. Students have the opportunity to stay within the facility and use laboratory space for additional practice time without worrying about other students needing to use the space. Or they can study in the library where textbooks are available for their use. How many prior clinical contact hours are required for admission? Applicants are required to have a minimum of 200 hours of volunteer/patient contact hours. These hours may be fulfilled by either volunteering or holding a paid healthcare position such as emergency medical technician on first aid squad, hospital volunteer, LPN, CNA, PTA/OTA, athletic trainer, or phlebotomist. Shadowing a medical clinician is acceptable as a partial fulfillment of the requirement but should not encompass more than half of the clinical contact hours. If you are hired to do clerical duties in a healthcare setting, this will not count toward the required clinical hours. What courses do I need to have in order to apply to the program? Prospective students should review the program’s Admission Requirements page for all information related to admission criteria, as well as Monmouth University’s Graduate Admission site. All science courses must include a laboratory component. * Human Anatomy and Human Physiology requirements can be fulfilled as combined Human Anatomy & Physiology I and II (8 credits). Is there a time limit of when the prerequisite courses need to be completed? Candidates for admission should have completed the prerequisite courses within 10 years prior to submitting their application. If the candidate completed their course work more than 10 years ago and is currently working as a U.S. licensed health professional, they can ask the Admission Committee for a waiver. The Committee may grant a waiver for some courses, but the candidate may be asked to repeat some science prerequisites. Can I substitute Organic Chemistry for the General Chemistry admission requirements? No, only courses in general chemistry are acceptable as prerequisites. Are on-line courses acceptable to fulfill the admission prerequisites? No, the science, math, and general psychology courses must be fulfilled on-campus at an accredited institution. The medical terminology course may be taken on-line. Can I use advanced placement (AP) course credits for the prerequisite courses? Yes, however, you must submit a copy of the AP certificate. Classes will have a maximum of 30 students. Do I need to complete all prerequisites prior to submitting my application? Candidates may apply if they have not completed all prerequisite courses. However, if an applicant is missing two or more requirements, their application will be placed on hold. In addition, applicants with missing prerequisites must state how they plan to complete the remaining requirements. All requirements must be completed by June 30 prior to matriculation into the program. If the candidate is offered a seat in the program but fails to complete all admission requirements by June 30, the offer of admission will be withdrawn. Does the program award advanced placement? The program does not award credit for either any courses taken outside the program or any experiential work completed prior to admission. Thus, no advanced standing is given to any student. All admitted students must complete the curriculum in its entirety. Can I transfer into the program from another PA program? Our admission cycle will open July 1. Applications are accepted only through the Central Application Service for Physician Assistants (CASPA). Your application materials must be verified by CASPA by January 15. According to CASPA definitions, they must receive materials at least 4 weeks prior to the deadline so they have sufficient time to complete verification. Please review their web site for further information on CASPA deadlines: portal.caspaonline.org/. The Admissions Committee will not review applications not verified by CASPA. All other supporting documents must be received by Monmouth University by January 15. However, we encourage you to complete your application sooner as decisions are made on a rolling basis and the cohort size is limited. What are the program’s five-year PANCE results? Monmouth’s inaugural graduating class of 2017 and our class of 2018 each had a 100 percent pass rate on the PANCE. Additional data will be made available as subsequent cohorts graduate. Does the program require the Graduate Record Exam (GRE) and what is the minimum score needed for consideration? Yes, the Graduate Record Examination (GRE) is required for all applicants except currently matriculated Monmouth University students and must be taken within the past five years.There is no specific score needed for consideration; however, competitive applicants have scores above the 50th percentile in each of the test areas. Scores can be submitted to directly to Monmouth University through CASPA using the code 3880. Can I substitute the MCAT exam for the GRE? No, all applicants must take the GRE. I took classes at an international institution. Am I still eligible to apply? Prospective students may be eligible to apply, but you first must have your transcripts reviewed by a transcript evaluation service, such as World Education Services (WES), to ensure that the courses you took are equivalent. The official WES evaluation report must be submitted directly to Monmouth University Graduate Admission. As an international student, do I have any other requirements? Prospective students whose native language is not English must submit official score results from TOEFL, in addition to taking the GRE. If I have completed all the prerequisite courses and met the healthcare experience, GPA, and GRE requirements, does that mean I am automatically admitted to the program? No, meeting the minimum requirements does not guarantee admission into the program. If I meet all the admission criteria, will I be granted an admission interview? No, meeting the minimum requirements does not guarantee that an interview will be granted. What kind of student will be granted an interview? We expect that admission to the program will be highly competitive and presume that successful candidates will possess credentials greater than the minimum standards. In addition, preferred candidates will be selected from students enrolled in Monmouth University’s undergraduate biology and health studies programs. Can I work while I am enrolled as a student in the program? The program does not have a policy that forbids students from working while enrolled in the program; however, it is suggested that students do not work more than 15 hours per week. Any employment the student does have must never interfere with class or clinical schedules. Work can never be used as an excuse for doing poorly on an exam. Employment within the PA program is not offered to matriculated students. Do I have to find clinical sites to complete the clinical portion of the program? No, students are not required to solicit clinical sites in order to complete the clinical phase of the program. The program maintains a directory of sites to which students will be assigned during the second and third years of the program. If the student knows of a physician or healthcare facility that is interested in having students at their site, the student should forward the information to the director of clinical education for follow-up and review of the appropriateness of the site to deliver quality experiences for our students. 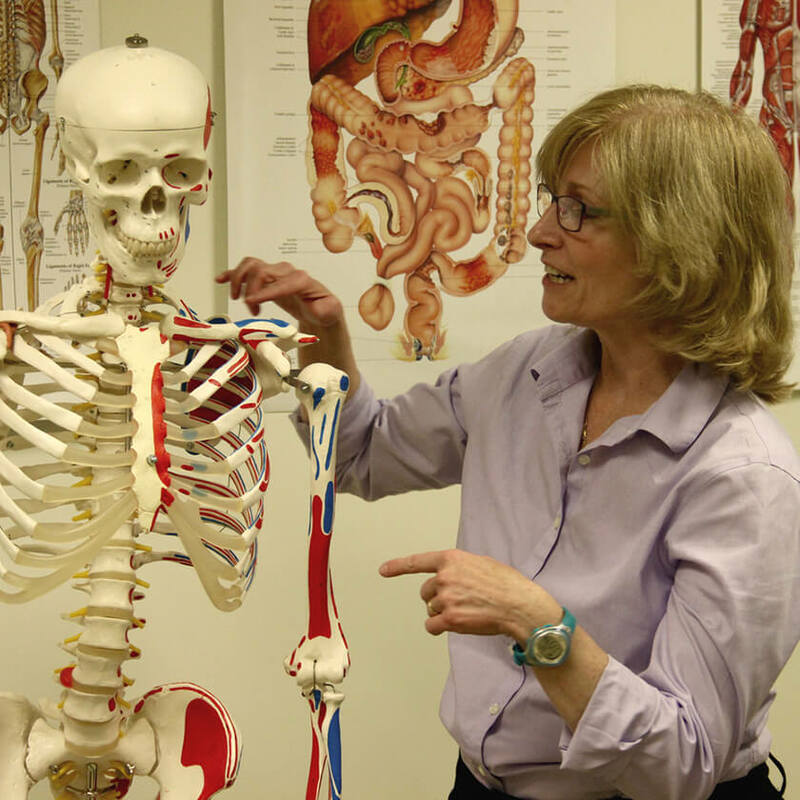 Where does Monmouth University’s PA program have clinical sites? The program has agreements with sites in the following counties: Monmouth, Middlesex, Ocean, Atlantic, and Essex. We have contracts with hospitals and physician offices, thereby giving students an opportunity to have a wide range of experiences. Does Monmouth University provide housing at distance sites? No, students who choose not to travel to and from home each day are responsible for any costs associated with overnight stays. The program will assist students in identifying reasonable accommodations. Does Monmouth University’s PA program offer any pre-admission counseling? Yes, if you have further questions about the admission process or courses you need to take to fulfill the prerequisites, you can call the PA program and make an appointment to speak to a faculty member. Speaking to a faculty member prior to submitting an application does not guarantee an interview or admission to the program. Where can I learn more about PAs? There are a number of organizations that can provide more information about a PA career. What is the accreditation status of the Monmouth University Physician Assistant program? “The Accreditation Review Commission on Education for the Physician Assistant (ARC-PA) is the accrediting agency that protects the interests of the public and PA profession by defining the standards for PA education and evaluating PA educational programs within the territorial United States to ensure their compliance with those standards” (www.arc-pa.org/about/). As defined by ARC-PA on their website, www.arc-pa.org, accreditation of PA programs is an external review process that is administered by a non-government, voluntary organization. The organization grants recognition to institutions or specialized programs that meet established qualifications and educational standards. In order to ensure compliance with the standards, an initial evaluation is performed and is followed up with periodic evaluations. Accreditation also benefits society by providing reasonable assurance of quality educational preparation for professional licensure and practice. What are ARC-PA’s accreditation statuses? For more details on each category go to Accreditation Types and Review Cycle. Why was Monmouth University put on probation and what steps is it taking to correct this? During the accreditation process an institution is asked to provide documentation related to the standards set by the accrediting body. In preparing our materials, Monmouth University did not follow several of the accreditation procedures properly and we did not provide the appropriate documentation to demonstrate how we met the standards. We believe all of these deficiencies are easily rectified over the next two years when the next accreditation visit will occur. Program Director Dr. Carol Biscardi is overseeing the development of a comprehensive action plan designed to bring the program into full compliance with ARC-PA accreditation standards, and the physician assistant faculty and staff are working diligently to deliver a robust and successful program that addresses a changing health care environment. What does Monmouth’s accreditation status mean to current and newly admitted PA students? The status of Accreditation-Probation means that the Monmouth University Physician Assistant program is accredited. Students who graduate from the Monmouth University PA Program are eligible to take the Physician Assistant National Certification Exam. If I attend your physician assistant program, will I be able to get a job? Because the Monmouth University PA Program holds an accreditation status, Accreditation-Probation, program graduates are eligible for licensure in all 50 states. Can Monmouth University PA graduates take the Physician Assistant National Certifying Exam (PANCE)? Is Monmouth still admitting students in the PA program? Yes, we enroll 30 students per academic year. Our next admission cycle will open on CASPA on July 1, 2018. Applications will be accepted until January 15, 2019 for the upcoming class of fall 2019. When will Monmouth University’s accreditation status change? The next on-site visit by ARC-PA is planned for October 2018 and then the program will be reviewed at the March 2019 ARC-PA meeting. What are the average GPAs of students admitted to the program? For the past two years, the average GPA of admitted students is 3.5. The table below provides some information on each class admitted thus far. If you have any additional questions, you can contact the program director, Dr. Carol Biscardi, at paprogram@monmouth.edu.